With two under two it’s not always easy to find time for yourself and when I do I often end up feeling guilty for having a little time alone. 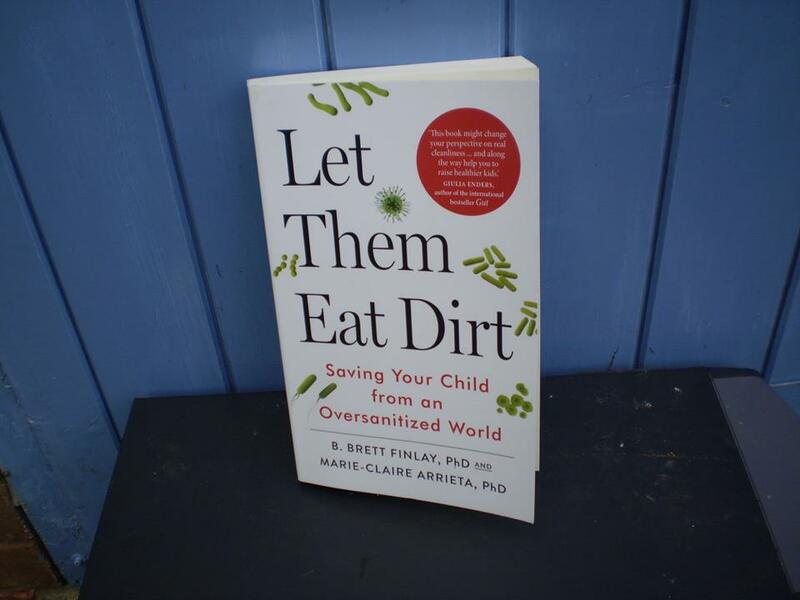 A while ago I was sent the book ‘Let Them Eat Dirt: saving your child from an oversanitized world’ by B Brett Finlay, PhD and Marie-Claire Arrieta PhD. I was envisioning a picture book that I could manage but what arrived was a 288 page turner! Written by micro biologists the book questions whether we can live in harmony with microbes? For two hundred years microbes have been seen to cause infectious diseases and we have sought to eradicate them. However, by doing so has our obsession with cleanliness brought about modern day illnesses such as obesity, diabetes and asthma? Can early exposure to microbes actually be beneficial? From the day they are born our children are exposed to a number of microbes whether they are in hospital or at home there’s no getting away from them. Even the great outdoors, toddler groups and everyday places we go are riddled with microbes. Young children (especially babies) are notorious for putting their hands, feet and objects in their mouths. By tasting the world around them they are forever coming into contact with microbes and as a result learning how to react to them. The microbes that our children come into contact with can influence their development and it is important that they don’t get an imbalance of them. I particularly liked the examples strewn throughout the book that show what it’s like to live alongside microbes. From the city dwellers who went to live on a farm and what happens when someone who has had no contact with them suddenly does! This book acts as a guide to help you to nurture stronger, more resilient and healthier children from conception to childbirth and beyond. It reflects on the benefits of antibiotics and vaccinations. Let Them Eat Dirt by B. Brett Finlay and Marie-Claire Arrieta is published by Windmill Books, £12.99. Disclaimer: I was sent the book Let Them Eat Dirt for the purpose of this review. All thoughts and opinions are my own. This sounds interesting! I must say I'm a little obsessed with hand sanitiser, but only before eating. I know a little bit of dirt is definitely good! It certainly is for building the immune system. When I was pregnant with my babies I wouldn't even do that. Oh my goodness! My eldest has tried garden snail but not a worm! 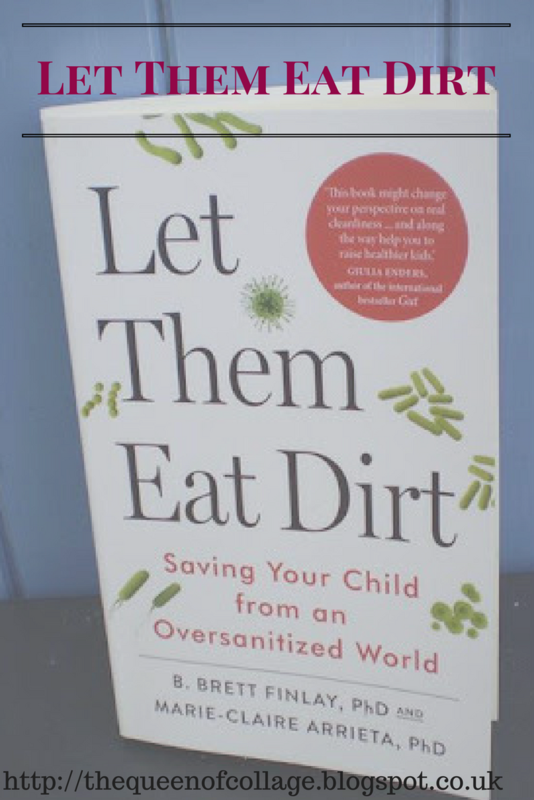 The book certainly seems to suggest that a little dirt may be beneficial and help with the immune system. I've got this book on order from the library. Looking forward to reading it now. Getting outside is wonderful for the fresh air and building that immune system is a good thing right?